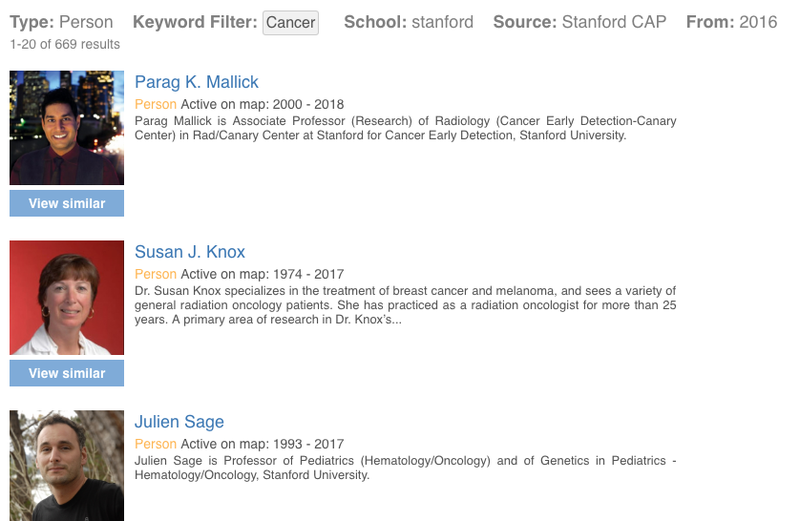 The Visible Legacy Search API is collection of services that allow you to include maps, timelines, result lists, and other content from Visible Legacy in your web pages or applications. You can submit public URLs for mapping. You must be a Registered User to access the Search API. Making a call by URL will return a JSON string of results. The Retrieve Search Results call is read-only. You will need a unique developer API key. There are versions for simple or detailed returns. With this call you submit parameters for a search. The return is a list of many topics related by the search terms. You would use this call to find the Visible Legacy topic ID of a topic for other calls. With this call you submit the Visible Legacy ID. The return is a simple list of topics related to the center node where the center node represents the topic with the submitted ID. With this call you submit the Visible Legacy ID. The return is a list of topics related to the center node where the center node represents the topic with the submitted ID. With this call you submit the Visible Legacy ID. The return is a list of topics and triples related to the center node where the center node represents the topic with the submitted ID. You can generate your own user experience by combining search results list with user navigation and build detail pages including the search results. You can add maps in the form of Visible Legacy Widgets to your pages using the simple embed code. You may submit a public URL (.edu only) for mapping. The URL will be placed in a queue and mapped as part of standard processing. The information in the page referred to by the URL will be added to the public Visible Legacy maps. Objectionable Content will not be mapped nor linked at the sole discretion of Visible Legacy. 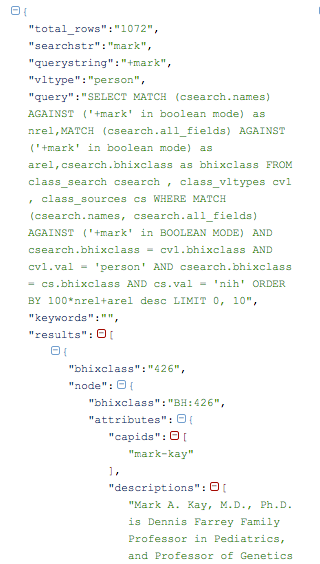 Bulk Expedited Mapping Service for large groups of public URLs or structured data is available as a custom service. Information may also be submitted by a file with a specified fetch location. Charges apply. Please consult customer service. If your Search API Implementation generates a high volume of transactions, Visible Legacy reserves the right to set transaction limits or charge fees. Can I put a Search or Map on my site without using the Search API? Yes. Visible Legacy offers the ability to embed the map that you're viewing into your website or blog, without any programming or use of the Visible Legacy Search API Platform. This is done using the Widget embed code. More information is available here. Similar Search Widget embed code is coming soon.